As the Senate Judiciary Committee wrestles with the 11th hour character assassination of Supreme Court nominee Brett Kavanaugh, we strongly urge Republican senators to keep the confirmation process on track and proceed with it in a timely manner. 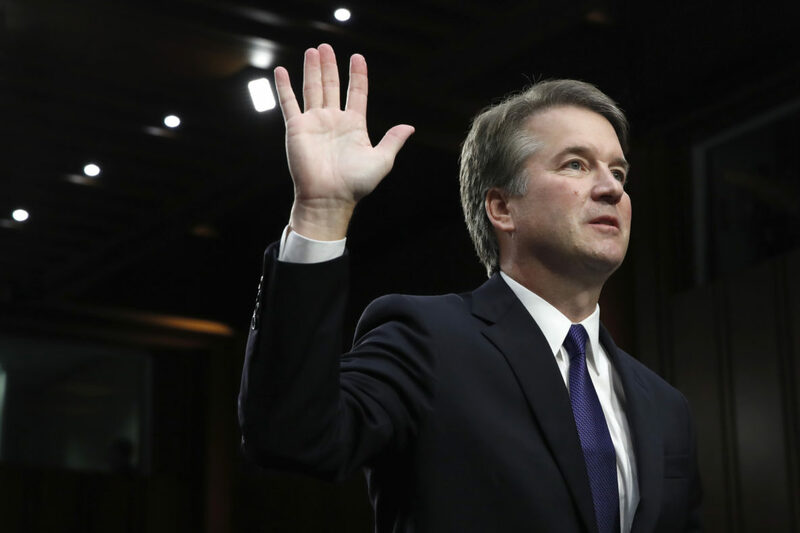 As many of his contemporaries have pointed out, the allegations against Judge Kavanaugh do not comport with his long history of commendable behavior. Moreover, the way in which Senate Democrats have handled these allegations raise disturbing questions about their willingness to engage in character smears to achieve political ends. Judge Kavanaugh is admired in his church, in his community, and in his profession. Throughout his distinguished career in public service, he has undergone half a dozen FBI background checks, and never a whisper of misconduct. Sixty-five women who were his contemporaries during high school have all come out saying that Brett Kavanaugh was and is a man of character and integrity. Countless women who have known Brett Kavanaugh personally and professionally, spanning three decades, have all testified to his respect for women, his character, and his integrity. The suspect timing of these allegations raises further questions about their credibility. Sen. Dianne Feinstein (D-Calif.) was in possession of a letter from Kavanaugh’s accuser, Christine Blasey Ford, in July. However, Sen. Feinstein chose not to share the concerns with the FBI or any other member of the Senate Judiciary Committee, even in the confidential background portion of the committee process. Furthermore, Sen. Feinstein passed over numerous opportunities to raise these issues with Judge Kavanaugh, including in private session, during his three days and 32 hours of public testimony, or in one of the almost 1,300 written questions submitted after the hearing. Sen. Feinstein did not even attend the FBI background briefing with Senate Judiciary Committee members, which would have been yet another forum for her to raise these issues. The choice by Sen. Feinstein to wait until the last possible moment to raise these allegations suggests cynical political motivations that, if true, strike a serious blow to the integrity of the Senate and the confirmation process. Senate Republicans have offered Judge Kavanaugh and Dr. Ford the chance to be heard before the committee. We urge the Judiciary Committee to vote Judge Kavanaugh favorably out of committee so the full Senate can confirm him by the beginning of the fall session of the Supreme Court. Concerned Women for America The Honorable T. Kenneth Cribb, Jr.